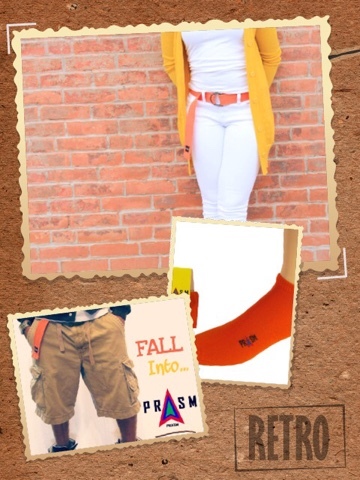 Welcome to PRASM: Orange and Brown Autumn. It's a Celebration! Orange and Brown Autumn. It's a Celebration! This is such a refreshing and reflective time of year. Just as in spring, the autumn season brings an explosion of colors that paint the outdoors in such gorgeous shades of natural tones. Without those vibrant color changes, autumn might not be quite as appealing and heartwarming as it is. Color makes a difference for us in terms of our emotions and psyches. And in honor of the autumn season I would like to highlight the colors orange and brown and how they truly complement this time of year. Let's start with orange since we're in the month of October!! Orange is a great color for attracting warmth and support from the immediate environment, but it also gives off this same warmth, allowing its wearer to become a beacon of compassion, warmth, friendliness, and so on. The rustic orange shades of autumn give off this same energy and have the ability to incite feelings of love, joy and coziness (within and around us). Wear orange this season to draw in and give off optimism, compassion, lust for life, strength, endurance and so much more. Orange is a very powerful color! Don't overlook it this season, especially those dark or red-orange shades! Now let's turn the color dial down a bit and get into a color we rarely talk about: brown. Brown makes perfect sense in the autumn season due to the vibration it gives off which reads 'stability.' After what may have been a flighty, fast-paced and exciting summer, this time of year invites us to slow down, reflect and get things in order. Brown often brings to mind the soil of the earth which makes sense as this is a time of harvest. Harvesting is about gathering the 'fruits' of the land at their culmination before winter sets in and things begin to die off. Wear brown as a reminder of your own personal harvest. This means that brown is perfect for honing in on and working with the best of your qualities and accomplishments thus far. Wear brown to promote order and stability and to bring to the surface the best of what you have to offer yourself and the world around you. Brown, in all its variations, is calmness, stability, seriousness, warmth, comfort, materialism, convention, groundedness, endurance, and so on. Don't overlook brown this season either! In fact, put browns and oranges together for a superb combination of appealing and natural earthiness. With all the variations of orange and brown out there, the combinations are vast. 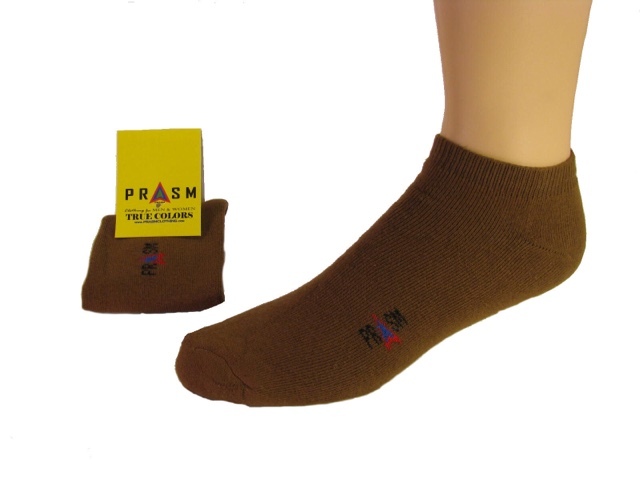 The PRASM line offers a couple different variations of orange and brown in our solid ColorStyle line of sports socks, canvas belts and wristbands. Find them on eBay and Amazon, as well as our web store at PrasmClothing.com! Have a great rest of the week!! Cheers!